I have had a few days to let the Jonathan Papelbon signing sink in now and I am still not sure what to think. Papelbon is a proven closer and a 4-time All-Star. In 2011, he saved 31 out of 34 games for the Red Sox and posted a 2.94 ERA. Both Papelbon and Ryan Madson are the same age and have similar stats with the big difference being experience as a closer. Papelbon has six years experience, Madson has just over a year all together. Rumor has it that Madson was willing to take a 4-year, $44 million deal. The Phillies signed Papelbon for 4-years and $50 million. Madson would have been cheaper, theoretically, but Paplebon has the edge in experience. My only concern is this: Madson seems to be on an up-swing with his stats improving over the past 3-years as he worked into the closer role. On the other hand, Papelbon had a horrid 2010 season, improving in 2011, but still nowhere near his All-Star numbers from 2006-2009. To me, this seems like a slight downward trend. Then again, perhaps a change of scenery and removal from a Red Sox team that just had several surprisingly bad years will be the key to Papelbon’s return to form. I realize I sound schizophrenic but I am just caught in between here. This move to me is not good or bad…yet. If Madson signs for a lot less than $50 million, this move may not look good. Otherwise, only time will tell. This $50 million deal also brings up a few other questions. 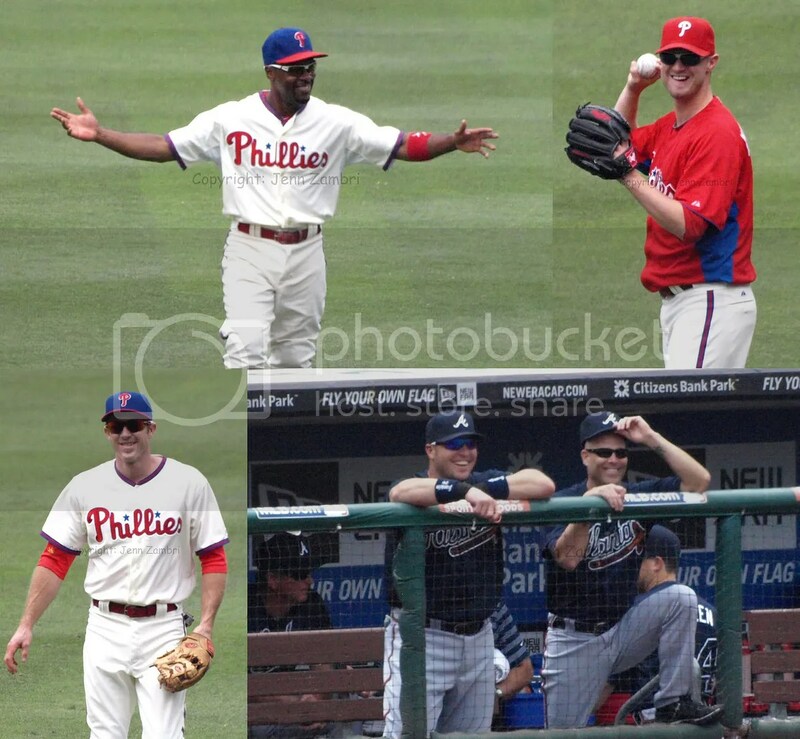 Will the Phillies have enough cash left to re-sign Jimmy Rollins? Can they still work out a deal for a role player like Michael Cuddyer? Once again, the Phillies raised ticket prices for the upcoming season so clearly, money is on their minds. By the way, my favorite part of that article about the tickets is when John Weber, vice president of sales, says, “we will work with anyone who wants to move to another seating area.” Really? Because I tried that last year and was basically laughed at by a sales rep who told me there was almost no chance of a different seat opening up. Anyone else had the same experience? Back to the topic of closer, I would like to know what everyone else thinks of the move. Leave your thoughts in the comment section. 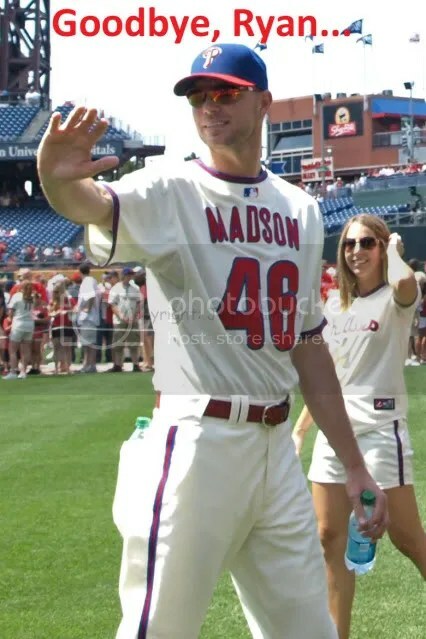 And best of luck to Madson; he will be missed. 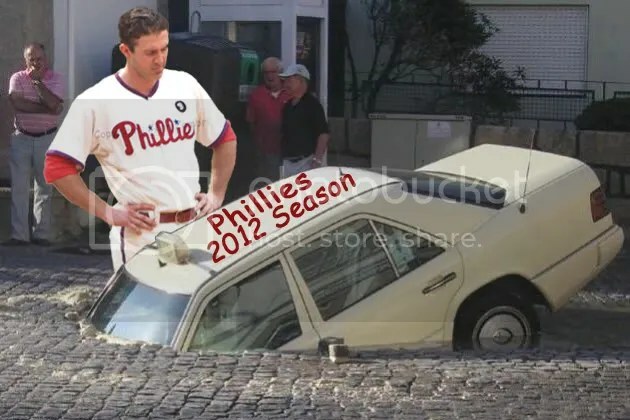 July 29th has been a significant day in recent Phillies history. On July 29, 2009, the Phillies acquired Cliff Lee. 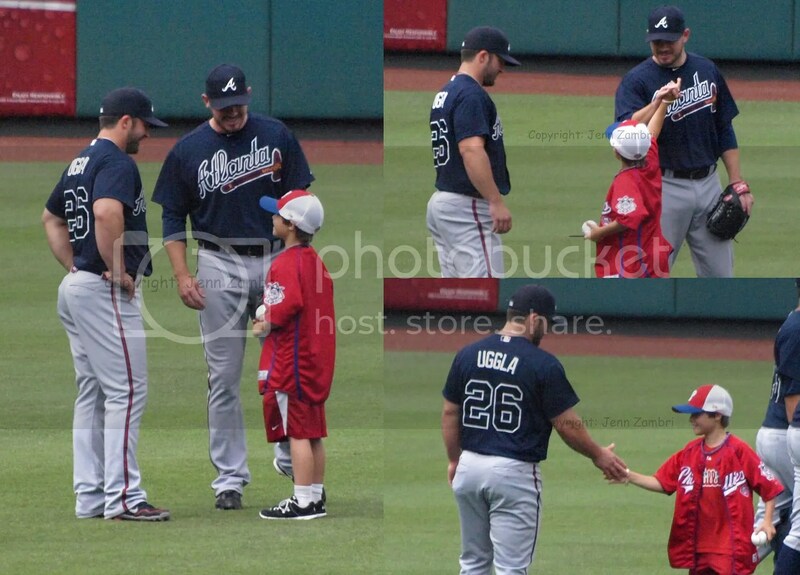 That same day in 2010, they picked up Roy Oswalt. 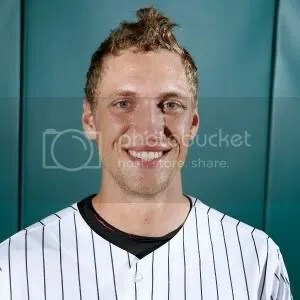 And this year, Hunter Pence is the big prize. A report from Phillies Beat Writer Todd Zolecki states that Pence will be sent from the Astros to the Phillies in exchange for Class A first baseman Jonathan Singleton, Class A pitcher Jarred Cosart and two yet unnamed prospects. The best news of the night is that neither pitcher Vance Worley or outfielder Domonic Brown were included in the deal. While the two named prospects are highly touted, the Phillies really pulled off an amazing deal without having to give up any major league talent. This is another huge score for Phillies GM Ruben Amaro Jr.
Pence, 28, is a lifetime .290 hitter and 2-time All-Star who combines both power and speed. Pence hit 25 home runs each year from 2008-2010 and had a career high 91 RBI’s last season. 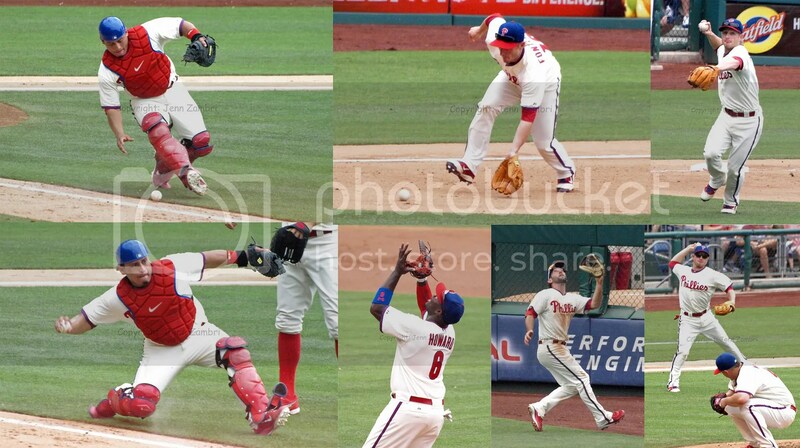 In addition, Pence cannot become a free agent until the 2014 season, putting the Phillies in control for years to come. With the addition of Pence and also Placido Polanco returning from the DL this weekend, two moves will have to be made. My best guess is that Brown will be sent back to Triple-A to work on his game. The second casualty could be John Mayberry Jr. While the playoffs and the World Series are promised to no one, the addition of Pence certainly does improve the Phillies’ chances. And in case you missed it amidst all the excitement, there was actually a game tonight. The Phillies beat the Pirates by a score of 10-3 with Roy Halladay pitching seven one-hit innings. Andrew Carpenter allowed three runs in the eighth. The offensive highlights included Chase Utley coming up just a double short of hitting for the cycle. His 3-run homer in the second inning put the Phillies far ahead very early. Shane Victorino also came close to hitting for the cycle, but missed out on the home run. 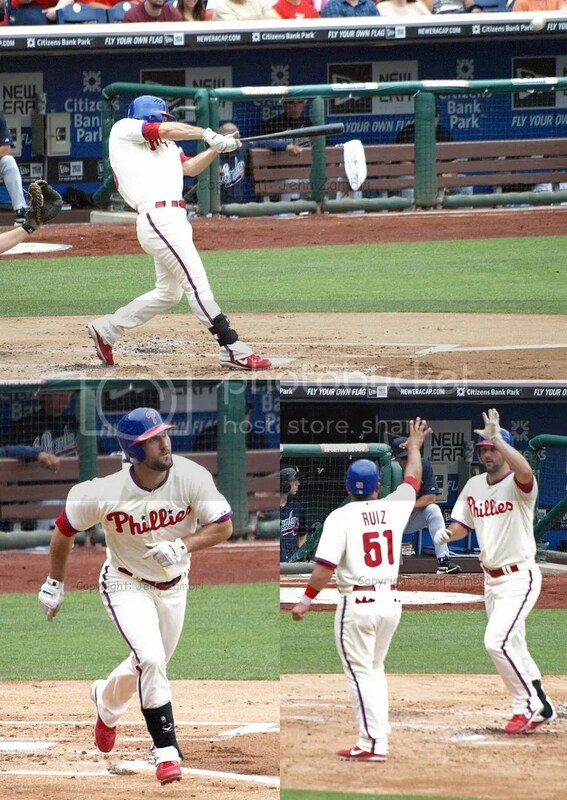 Jimmy Rollins smacked a 2-run homer in the seventh, but sadly for Victorino, he was not allowed to share the homer and help out his buddy Shane. Oddly enough, Rollins hit that home run off pitcher Jason Grilli, who until a week ago was in the Phillies minor league system. The Pirates picked him up after the Phillies released him on July 20, 2011. This is now set up to be a very exciting weekend for the Phillies. When Pence will be in the line-up probably depends on how soon he can get here from Houston. 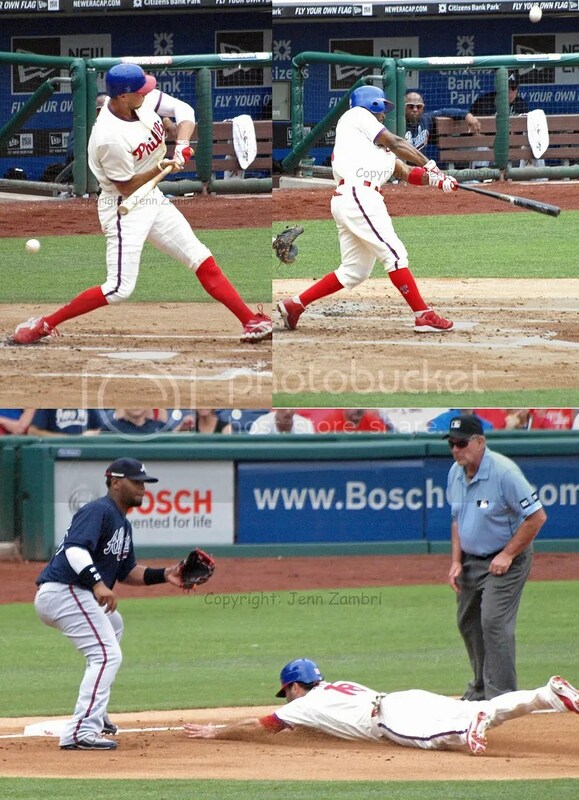 Add Polanco back into the line-up and the Phillies are set up nicely for a strong run to the playoffs. Game two with the Pirates is Saturday night at 7:05pm; Cliff Lee will pitch. Although the day began with the Phillies placing Placido Polanco on the DL, it ended well. Polanco, battling back pain, should be back around July 20. All of the recent injuries have given many young players big opportunities. Michael Martinez started at third again and John Mayberry Jr. started in center and had a huge day at the plate. In the 7-2 win over the Mets, Mayberry accounted for five of those runs with a single and a bases-clearing double. Having struggled in his last trip to the majors earlier this year, it looks like Mayberry has finally made the adjustments he needed in order to get his swing straight. 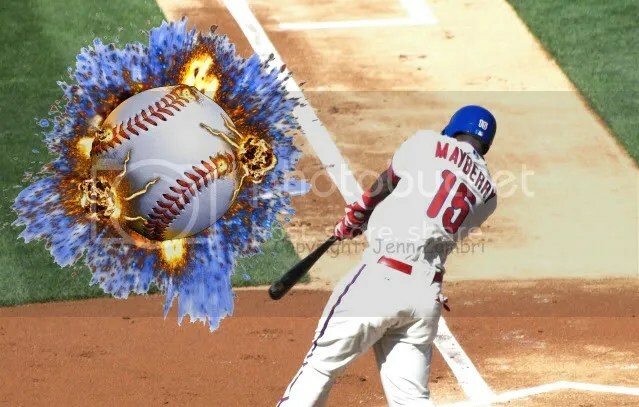 If Mayberry keeps up this pace, the Phillies may not to need any further for a powerful right-handed bat. Vance Worley also had a nice day on the mound. He allowed only one run through 5.1 innings. The only issue was that Worley walked four batters and had a high pitch count early. He still has some work to do, but so far, Worley is fitting right in to this rotation. When Worley was called back up today, Ryan Madson joined him as well, coming off the DL after dealing with a bruised hand. The two roster spots were cleared by Polanco’s DL trip and Scott Mathieson was sent down. Madson pitched the seventh inning and it appears that he has not skipped a beat. His command was good and he had zip on his fastball. Michael Stutes, on the other hand, looked rusty after the All-Star break and he gave up a homer in the eighth. One other item of note today was the performance of Raul Ibanez. 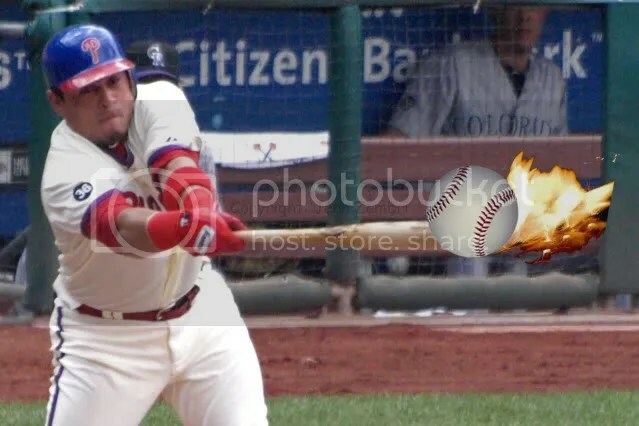 His bat is suddenly on fire and as a result, he was named the National League Player of the Week. The week before the All-Star game, Ibanez hit .310 with three homers and 13 RBI. He hit another home run tonight and also singled. Congrats to RAUUUUUUL! Game 2 with the Mets is Saturday afternoon at 4:10pm. Cole Hamels will pitch with Kyle Kendrick on Sunday. The top two aces, Roy Halladay and Cliff Lee, are getting a break after pitching almost two innings each in the All-Star game on Tuesday.